We can never reconcile time with eternity but at least, we can use time while preparing for eternity. Time naturally measures everything - our hard struggles to achieve, our studies. strivings, works and the conflicts we meet along the way. We never give up though sin limits us, brings hard struggles in our service and an end to all that we do - including our goals, opportunities, abilities and life itself. Eternity continues what we have started in time, and in a new and higher level, despite our human errors and sins in the past. What the Lord discussed with the Sadducees in Matthew 23:29-32 sheds light concerning this. They presented a hypothetical story about a woman who married seven brothers, who died one at a time without having a child. Finally, the woman died too, so that in the resurrection life whose wife will she be?, asked the Sadducees. The Lord replied that they do not have a deeper and fuller understanding of the power of God. In the resurrection life, people do not marry or are given in marriage. This function is confined to time and not to eternity. Time and eternity cannot be mixed. Time exists because of sin and eternity exists because of righteousness and holiness. In eternity, time will only be a memory. It is like a prison and eternity sets us free. Time is enough to prepare God's people for eternal service. It also prepares creation for eternal existence and purpose. In eternity, we will live beyond time. The Bible tells us that God's people will travel from life to forever directly. Enoch walked with God straight to heaven on day and was never found again (Genesis 5:21-24). Elijah was fetched by God's chariot of fire drawn by horses of fire (2 Kings 2:10-11) and went to heaven without passing death. Believers of the Lord Jesus will transported to meet the Lord in the air in the twinkling of an eye someday (I Thessalonians 4:15-17, I Corinthians 15:51-58). 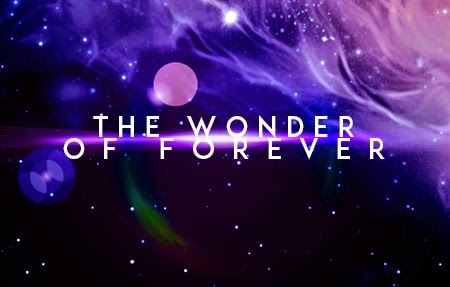 Some people of God were given a glimpse of forever while still in time and space. Jacob at Bethel (Genesis 28:10-21) saw the Lord at the top of the stairway to heaven. Moses, while downhearted after Israel committed sin was revived after God showed him the 'back' of His glory (Exodus 32, 33:13, 29, 30, 34:5-7). His joy was renewed and his face shined with God's glory (Exodus 34:29,30). The Lord Jesus was transfigured in the presence of Peter, James and John (Matthew 17:1-8). When Paul was stoned at Lystra (Acts 14:19, 20) he had a near-death experience of seeing the beauty and hearing the sounds of heaven (2 Corinthians 12:1-7). Stephen saw the glory of the Lord before his death by stoning (Acts 7:56). John the apostle was transported by the Spirit (Revelation 1:10) and saw visions of the end which he wrote in the book of Revelation. Dorcas (Acts 9:36-42) and Lazarus (John 11) saw the glory of heaven but never talked about it. Our human minds can never fully grasp forever. But it reminds us that our God is beyond full understanding and what we know about Him is enough to give us salvation and the assurance that we can never exhaust forever because God is there (I Corinthians 15:28). It is like an unfathomable love, service and joy that will make forever the sum total of perfection beyond compare. It is love whose depth cannot be exhausted. It is service whose fruit cannot be measured. It is joy whose height cannot be reached.